Have you seen my children’s book Keep Watch Sam? Sign up for my mailing list and I will send you a free e-book! Self-publishing or indie publishing is growing very fast. It is now easier and cheaper to self-publish than ever before. This is true for every genre but children’s picture books are a little different. First the digital market is growing slower for picture books, than other genres. People still want to hold their kids on their laps and read them a book. Second, while Print on Demand services (POD) now makes self-publishing print copies affordable for the average person (you only pay for what you buy or sell), quality color printing is more expensive than black and white paper backs, therefore your POD book must usually be priced higher than the large Publishing house equivalents. 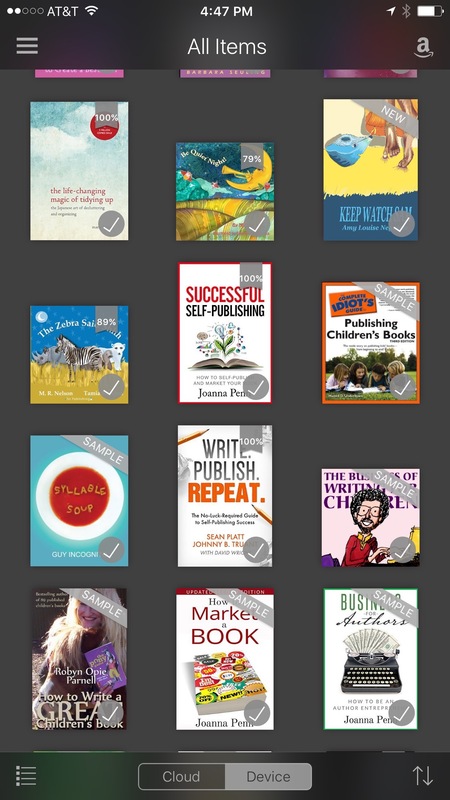 Over the last few months I have learned so much about self-publishing, marketing, growing “your platform”, and so on. Unfortunately I learned most of what I have learned after I hit the “publish” button and published through blurb.com, so I did things a little backwards. Knowing what I know now this is what I wish I would have done and this is what I suggest you do if you want to create a children’s book. 1. Write the Story, a 32 page book. The classic children’s book is 32 pages long. If you want a shorter length like I did there needs to not only be a good reason but you might also consider a parent/teacher’s companion to fill in the 32 pages. If you want a longer book, just do some editing and make it 32 pages. Trust me. Dr. Seuss wrote longer books but he was Dr. Seuss you are not. Books that do not fit the standard are more expensive and a bigger hassle to reproduce. Draw 32 portrait formatted pictures or 16 two page spread landscape format (or a combination of the two that equal 32). Landscape books are rare and expensive to reproduce, don’t shoot yourself in the foot. 3. Research Book Marketing and Building Your Platform. Unlike me, do not wait until you have the finished project. There is something called “launching your book” and you have to build up to that launch, so learn about it now. Get on Tim Grahl’s email list, and read as much as possible about what he puts out. Also read as many of his recommended reading on his Best Book Marketing Books list. Don’t be in a hurry to publish, you not only want to publish a high quality book. You also want to publish it in such a way that it will sell, so that at the very least you can afford to make more books. 4. Have Your Book Edited. Have the Illustrations reviewed by an Artist. Most places you will read that you must have your book professionally edited and your book cover professionally designed. I agree and I disagree. I did not higher anyone to help me complete and fine tune my book. I did however ask people with a level of professional perfection to review, edit, and critique it. This is very important. I rewrote the story three or four times and had a few artist friends give me feedback. They also challenged me to bring my drawings to a higher level of professionalism. When I thought I was done. I again asked my artist friend to review the story and the drawings. She pointed out where I was getting lazy or was in a rush and I went back to the drawing board. The image that I ended up using on the cover was one that I had rushed over and had to redo–after I thought I was done. I am so glad I did. Then I had a group of moms who care about teaching their kids bible stories read the electronic version of the book to their kids and give me feedback. This was great. Without them, I wouldn’t have had dialog say “Keep Watch, Sam!” And I might not have included the questions at the end, even though I wanted a didactic component. Finally I had two different people that I know are sticklers for spelling and grammatical editing review my draft. The one who apologized for being a grammar nazi was exactly what I needed! But people want hardcopies! You want hardcopies, I want hardcopies! Yes. If you are dying as I was to see it in print, order yourself a few copies to be printed at FedEx Office or Office Max. If you want them to look more professional for a gift you can use a sight like Blurb.com, but don’t rush to release them for sale. You have so much to do still. You want to get at least 25 reviewers on Amazon the day you release your book (it would be best if you got them the day you release your e-book actually). You want to plan a launch party (virtual or live), and, much much more. And in my case I should have waited because once I published it I sent an e-copy to a friend of mine “in the industry,” he runs a small publishing company that publishes most of the material that Vineyard authors produce (Ampelon Publishing). While he had been unsure about the proposal I sent him before I completed the project. He really liked the “final product.” I now have the opportunity to partner with him and release a second edition. I will pay for the print run (which I would not have access to without him), but he will handle major distribution. Printing with Blurb did not ruin this opportunity, but it would have been better marketing to build up to the print copy rather than have two editions running around. Also, while you might not have the connection that I did, if you want to try to get an agent and a traditional publisher an e-version will not deter them while a print-copy will. 6. Give Your Book Away. This might seem counter intuitive but building buzz and building your email mailing list seems to be the most important part of becoming an successful author. Giving away your e-copy is a great way to do that. 7. Have Your Book Printed. Once you have promoted your book, given it away, and created a buzz that sounds like, “When will the print copy be released?” Then have it printed. Blurb.com did a great job for me. It is a beautiful little book. I don’t like the price. If you want to sell more copies you might do a print test with CreateSpace though I have read mixed reviews on quality for color printing and they don’t do hard-cover. 8. Make Your Next Book! Make your next book because its fun and you love it. And, make your next book because authors with more than one book, sell more books. Do Readings, Signings, Speaking Engagements, Blog, Build Your Email List and Stay-in Touch, Make Videos, and Much more. Next TEACHING TODDLERS TO PRAY: Interview with Mother and Expat in Sarajevo, Taylor Irby.